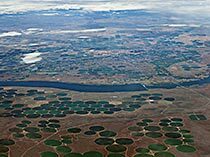 This Gallery is the Deschutes Umatilla Plateau... Eastern Oregon's productive farmland. 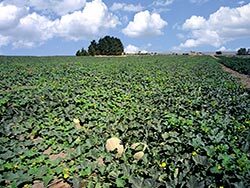 There are both irrigated crops like "Hermiston Cantaloupe" and dry land crops...the grains that spawn the "Tractor in the Dust". 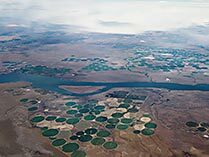 Columbia River aerial photos show the waters of the Columbia providing for "Circle Irrigation" . 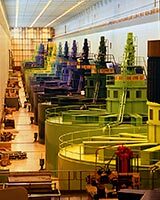 The colorful turbines of the "John Day Dam" and The McNary Dam give electric power and passage for ships headed up and down the Columbia. 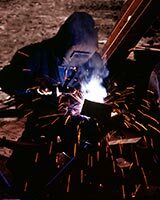 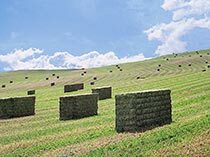 Heavy "Square Hay Bales" feed livestock; "The Welder " keeps the balers and tractors working to make those bales. 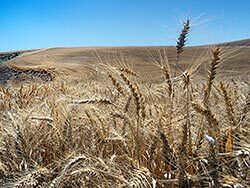 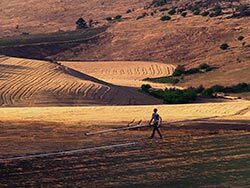 "Bearded Wheat" is a common crop...in open plains or valleys like "Tygh Valley" ... nestled in the hills. 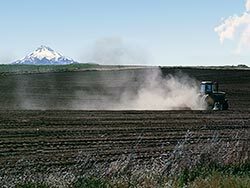 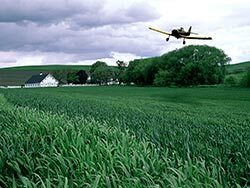 The "Sprinkler Man" must toil to set his pipe and the crop duster must "Race the Rain". 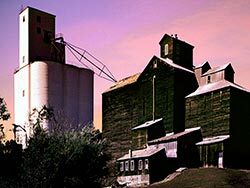 Only then will the "Grain Elevator" bulge by August. 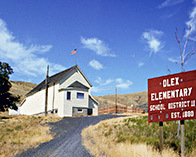 The "Olex Schoolhouse 1880" bears testimony to a very long history of people thriving in this area . 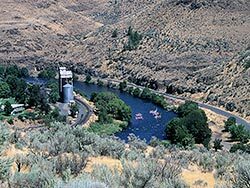 "Maupin Rafters" attest to modern day fun! 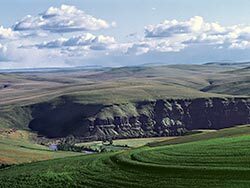 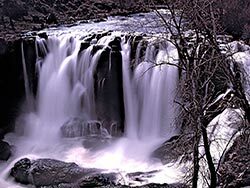 The road on "Emigrant Hill" brought the people to Pendleton; the peaceful beauty of the "Pendleton Hill's" and "White River Falls" and "The Hills of Athena" shows why the people stayed!